Windows and glazed doors are more commonly thought of as external fixtures to allow more light into a room, but in a commercial sense they have many more uses and can often be used internally for reasons such as to allow a person to safely see into a restricted room where special safety gear may be mandatory or glazing can be added to doors in the form of vision panels to comply with Part M regulations or a fully glazed door could be added for aesthetic purposes. The reasons are endless and so are your options with Fireblock. 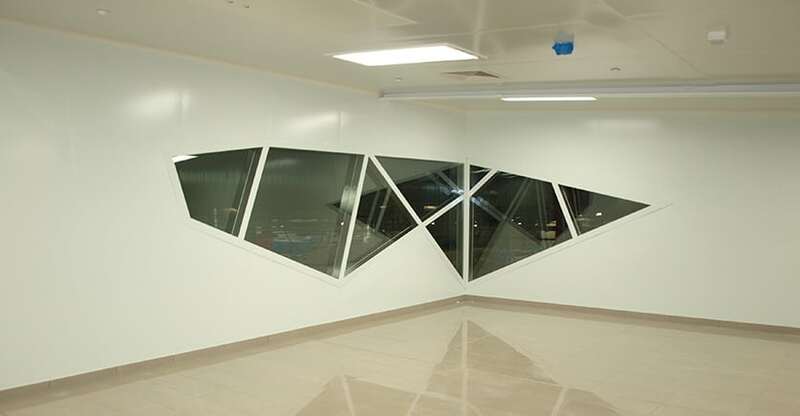 Fireblock manufacture a range of hollow metal windows that have been designed as a result of an extensive and expansive research and development programme. Manufactured from 2.0 mm polished stainless steel to suit your specific project needs including flush finishes for clean room and food areas and fire and blast resistance. Fireblock also manufacture a range of Forster fully glazed doors which allow for a more uninterrupted glazed unit which can be designed for fire resistance and acoustic deadening properties.